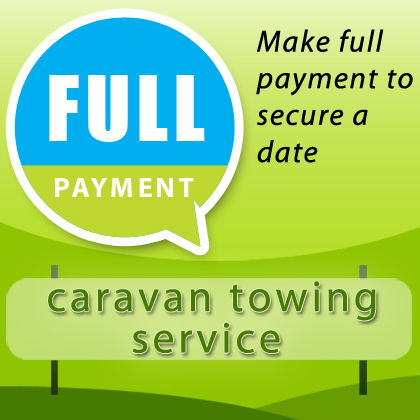 The Caravan Towing Services is a trading style of Welcome Associated Services Ltd (company registration number 07874666). ‘CTS’, ‘We’, ‘Our’ and ‘Us’ means Welcome Associated Services Ltd trading as Caravan Towing Services. ‘Customer’, You’ and ‘Your’ means the person or business who is the registered owner of the Vehicle and named at Booking, or the person or business acting on behalf of the registered owner and named at Booking. ‘Parties’ means CTS and the Customer, and ‘Party’ means either one of them. ‘Agent’ means the person or business releasing the Vehicle to CTS or receiving the Vehicle from CTS, and ‘Agents’ shall mean both of them. ‘Vehicle’ means a car, motorcycle, van, trailer, caravan or any other material object named at Booking. ‘Booking’ means a request by the Customer to transport a Vehicle from a Collection Address to a Delivery Address, subject to acceptance by CTS and the provisions of this Agreement. ‘Service’ means the transportation of the Vehicle by CTS subject to the provisions of this Agreement. ‘Collection Address’ means the address most suitable to the Customer for collection of the Vehicle. The Collection Address is subject to the provisions of this Agreement. ‘Delivery Address’ means the address most suitable to the Customer for delivery of the Vehicle. The Delivery Address is subject to the provisions of this Agreement. ‘Collection Point’ means at the time and at the location of collection of the Vehicle. ‘Delivery Point’ means at the time and at the location of delivery of the Vehicle. ‘Fee’ means the price for the Service, as provided by CTS within the Quotation. ‘Supplementary Service Fee’ means an additional cost that may be payable by the Customer to CTS for an additional service. ‘Vehicle Release Fee’ means a sum that the Customer may be obliged to pay to the Agent for discharge of the Vehicle. ‘Modified Vehicle’ means a Vehicle that is higher, lower, longer or wider than the Vehicle manufacturers standard specification. This includes any articles attached to the Vehicle, including but not limited to, a roof rack/box, bike rack or bikes. ‘Vehicle Condition Report’ means CTS’s document on which CTS record the state of the Vehicle. ‘Transporter’ means one of CTSs’ vehicles that is used by CTS to carry other vehicles and to provide the Service. ‘Claims’ means all demands, claims, proceedings, penalties, fines and liability (whether criminal or civil, in contract, tort or otherwise). ‘Losses’ means all losses including without limitation financial losses, damages, legal costs and other expenses of any nature whatsoever). Our address is: 5 Queen Street, Dawlish, Devon, EX79HB. 1. These Terms and Conditions must be accepted by You prior to commencement of the Service. This will form the basis of the agreed Service to be carried out and the booking form must show the Collection Address and Delivery Address of the Vehicle. A deposit of £75 is payable before the booking can be confirmed. Final payment of the outstanding balance must be received on or before the transportation date. 2. Payment may be made by Debit/Credit Card, Paypal or Bank Transfer, or Cash. 3. Payments made by Card and/or Paypal will show on your statement as Welcome Associated Services Ltd. A £5 fee is charged for all credit/debit card and Paypal payments. 4. Notification of cancellation must be received at least 7 days before collection of Vehicle, and any monies paid to CTS will be refunded. Where notification of cancellation is not received by CTS within 7 days before commencement of work, no refund will be given. 5. Vehicles for transportation must be in a roadworthy and serviceable condition. Electrics and tyres must comply with current legislation. CTS employees may refuse to tow any vehicle deemed not to be roadworthy or serviceable at the Collection Point. The decision to tow, or not to tow the vehicle will be at the discretion of the driver employed by CTS. No refund of any monies paid will be given, in the event that the driver deems the vehicle not to be roadworthy or serviceable. 6. Electrics should be N/S 7pin or EU 13 pin type. 7. Caravans must not exceed 2.3 metres wide and 8 metres in length. If upon collection the caravan is found to exceed these dimensions the work will not be undertaken, and there will be no refund of any monies already paid to CTS. 8. Caravans and trailers to be towed must not exceed 2800kg total laden weight. 9. Caravan Towing Services will, at the time of collection and prior to transportation, complete a Vehicle Inspection Report and record any damage. Photographs and a video will also be used to record any damage. You (or the Agent) and Us shall assess the condition of the Vehicle in a practical way. We shall complete a report on the Vehicle Condition Report. Where You (or the Agent): agree to report, You (or the Agent) shall sign the Vehicle Condition Report on the appropriate section. Where You (or the Agent) agree to the report and refuse to sign the Vehicle Condition Report We may cancel the Service; or disagree to the report, You (or the Agent) shall send clear photographic evidence to justify the cause of Your (or the Agent’s) disagreement to Our email address info@caravan-towing-services.co.uk within a reasonable period of time. Where You (or the Agent) disagree to the report and fail to send clear photographic evidence within a reasonable period of time We may cancel the Service. You agree that where We collect the Vehicle from an Agent they may release the Vehicle on Your behalf. You shall pay to Us Our Supplementary Service Fee in respect of the service of the secondary delivery. Where You do not have a Credit Account You shall pay Our Supplementary Service Fee in respect of the service of the secondary delivery at subsequent contact between both Parties; and the parking or storage business shall receive the Vehicle on Your behalf; and You shall pay the parking or storage business’s Vehicle Release Fee; and We shall not be liable for any Claims or Losses arising from or relating to loss of or damage caused to the Vehicle following Delivery Point. You shall pay to Us: Our Supplementary Service Fee in respect of the service of the secondary delivery; and Our Supplementary Service Fee in respect of the storage. We shall not discharge the Vehicle to You (or the Agent) until We receive the payment of Our Supplementary Service Fees from You. 11. Receiving the Vehicle at Delivery Point. You (or the Agent) and Us shall assess the condition of the Vehicle in a practical way. We shall provide to You (or the Agent) the Vehicle Condition Report that You (or the Agent) signed at Collection Point. You agree that: You (or the Agent) shall sign the Vehicle Condition Report on the appropriate section for acceptance of the delivery of the Vehicle; and where You (or the Agent) disagree to the report, You (or the Agent) shall explain the cause of Your (or the Agent’s) disagreement on the appropriate section of the Vehicle Condition Report. You agree that where We deliver the Vehicle to an Agent: they may receive the Vehicle on Your behalf; and We shall not be liable for any Claims or Losses arising from or relating to loss of or damage caused to the Vehicle following Delivery Point. 12. Where at any time We cannot gain practical, safe and lawful access to the Collection or Delivery Address, You (or the Agent) shall deliver the Vehicle to a Collection Point, or collect the Vehicle from a Delivery Point that is a practical, safe and lawful area (the Collection Point shall be within a reasonable distance from the Collection Address, and the Delivery Point shall be within a reasonable distance from the Delivery Address and both the Collection Point and the Delivery Point shall be at Our discretion). the importation of which into any country from, through or to which the Service is to take place is taxable. There are no tax allowances where You are not with the Vehicle. You agree that the importation of the Vehicle into any country from, through or to which the Service is to take place is legal. Customs and Governmental Authorities may search, move, damage, dismantle or confiscate the Vehicle or articles with the Vehicle and they are not obliged to declare their actions, although would have a justified reason. We shall not be liable for any Claims or Losses by reason of or arising out of search or seizure under legal process. 14. Caravan Towing Services are insured for the transportation of caravans and trailers including all permanent internal fixtures and fittings. The policy does not cover any additional contents. A copy of the insurance policy is available to customers upon request. We shall maintain insurance in respect of statutory responsibilities in Our occupation of property, employment of staff and the conduct of business. loss of or damage to the Vehicle, by reason of or arising out of any circumstances beyond Our reasonable control, including but not limited to: Act of God, the effect of ionising radiation or uncontrolled nuclear reaction, act of war, hostilities, or riot or civil commotion; or where We were unable to assess any parts of the Vehicle in a practical way and report on those parts on the Vehicle Condition Report, We shall not be liable for loss of or damage to those parts; or where damage is caused by a stone (or anything similar) during the Service, We shall not be liable for such damage (such damage is unavoidable and beyond our control); or mechanical, or electrical breakdown, defect, derangement or inherent fault of the vehicle; or search or seizure under legal process; or while the Vehicle is in the care and control of a parking or storage business (where You (or the Agent) were unavailable at delivery Point) or an Agent; or Your failure to act on the recommendations that We provide to You under this Agreement; or Our compliance with applicable law; or Your failure to comply with applicable law; or any breach of Your obligations under this Agreement. allow Us a reasonable period of time, following Our receipt of all of the information and documentation that We require under clause to investigate Your allegation and respond to You. We shall not accept liability relating to damage or authorise repair or replacement unless You allow Us to inspect the damaged Vehicle prior to repair or replacement. Where We accept liability relating to damage, a senior executive of CTS shall authorise the repair or the replacement in writing to You; no other authority howsoever obtained shall be accepted. Where a senior executive of CTS authorises the repair or the replacement We reserve the right to retain ownership of all replaced parts and may withhold payment until these are forthcoming. We shall not be liable for the payment of any costs regarding administration performed by any claims management company arising from or relating to damage. We may make such investigations as We consider necessary to satisfy ourselves of the validity of any Claim. Our insurers may place a warning on the ‘Association of British Insurers’ database and this warning may affect the claimant’s future insurance requirements. 15. Any unforeseen costs incurred by CTS during transportation of caravans or trailers will be met by the customer. 16. The transportation of any customer’s caravan or trailer will be at the discretion of a CTS employee. It is our policy that all caravans will be inspected prior to hook up. If a CTS employee deems the caravan or trailer to be unfit to tow the Service will be cancelled and any monies paid to CTS will not be refunded. 17. All caravans must have a spare wheel and we carry all tools necessary to change the wheel. If there is not a spare wheel for the caravan or trailer we will still tow but any unforeseen costs incurred by CTS during transportation will be met by the customer. 18. CTS will not accept responsibility for the following on either caravans or trailers. iv. loss or damage caused by rust, oxidation, discolouration, scratching, chipping, denting or bruising, or the cost of repainting. v. any damage caused to caravan or trailer from tyre blow out. We try to resolve any issues brought to Our attention as soon as possible so it is important that You tell us where You are not happy so that You give Us the opportunity to resolve Your issue at the time. If for any reason this is not possible or We have been unable to resolve Your issue to Your satisfaction please write to Us and allow 20 working days for a full response.